Aces Full A Full House with 3 Aces and any Pair. 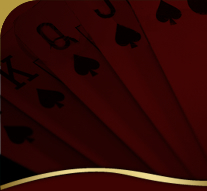 Ace High A five card hand that contains one Ace, with no straight or flush or a hand with no pair in it. Aces Up A hand that contains two pairs, one of which is Aces. Action Checking/Betting/Raising. A game in which players are playing a lot of pots is considered an “action” game. Active Player Any player who is still in the hand. Add-on A purchase of more chips (optional) at the end of the re-buy period in a tournament. Ante Money placed in the pot before the hand is begun.